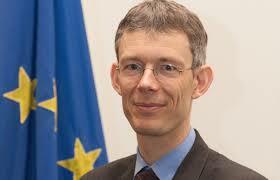 Remco VAHL is a Senior Expert at the European Commission’s Directorate-General for Trade (DG TRADE). His unit deals with Economic Partnership Agreements (EPAs) in seven African, Caribbean and Pacific (ACP) regions. Having negotiated EPAs in all ACP regions, the unit is now implementing and monitoring the agreements. In doing so, the unit is contributing to the new Africa-Europe Alliance for Sustainable Investment and Jobs. Remco Vahl is also coordinating the post-Cotonou negotiations for DG TRADE. Remco Vahl has worked on ACP trade matters in the Commission for some 20 years. During those years Remco Vahl has been involved in EPA negotiations and implementation in the African, Caribbean and Pacific regions. He worked for the approval of these agreements with the European Parliament and the Council. He has dealt with issues ranging from ACP market access to EPA communication. Before that he worked on the Everything But Arms initiative for least-developed countries, and the rules of origin of the Cotonou Agreement. What is today the framework for trade relations between the ACP States and the EU? Negotiations for a successor to the Cotonou Agreement, which is due to expire in February 2020, have already started, in September 2018. That same month, the European Commission tabled an “Africa package” for the annual State of the European Union. In it, President Juncker tabled a new Africa-Europe Alliance for Sustainable Investment and Jobs. The new Alliance reflects the need to increase investment in Africa massively. On the trade side, it lends support to the African Continental Free Trade Area currently under construction. The State of the European Union Address puts this in the long-term perspective of an African-EU continent-to-continent comprehensive free trade agreement. Meanwhile, the Commission Communication on the Alliance (“Taking our partnership for investment and jobs to the next level”) mentions the EPAs as “building blocks” of the African Continental FTA. So what is the story with the EPAs, and how may they evolve? What is happening with the EPAs right now? First a few facts. Today 31 ACP countries and the EU are implementing 7 EPAs. The Caribbean EPA is a comprehensive regional agreement involving all 15 Caribbean ACP States except Haiti, which has yet to ratify the agreement. In the Pacific, Samoa has just joined the EPA between the EU, Papua New Guinea and Fiji. Other Pacific countries have also shown interest in joining this agreement, which focuses on trade in goods. In Africa another 7 EPAs have been negotiated, of which 5 are currently applied. Madagascar, Mauritius, Seychelles and Zimbabwe, in Eastern and Southern Africa (ESA), were the first African countries to put an EPA in motion back in 2012. In February of this year, Comoros joined them. In keeping with the ambitions of the Cotonou Agreement, these countries and the EU are already exploring an extension of the agreement to trade in services, intellectual property rights, social and environmental (sustainable development) aspects, etc. If negotiations are successful, this will surely take their partnership to the next level, to use the phrase of the Commission Communication on the new Africa-Europe Alliance. 2016 was a big year for the African EPAs. Implementation started for the SADC EPA countries Botswana, Lesotho, Namibia, Eswatini and South Africa, but also for Côte d’Ivoire and Ghana. Mozambique started implementing the SADC EPA in 2017. The fifth African EPA, in Central Africa between Cameroon and the EU, saw the first Cameroonian tariff cuts that year. More have followed since. Today, we have had the first meeting of the SADC-EU EPA ministerial Council (in Cape Town in February) and several meetings of the EPA committees between the EU and Cameroon, Côte d’Ivoire and Ghana. These have addressed the institutional set-up, implementation issues and sometimes on trade irritants. Negotiations are progressing to agree joint rules of origin for the EPAs with Cameroon, Côte d’Ivoire and Ghana. Economic partnership at work! Whereas some fears about EPA implementation now seem unfounded (eg revenue loss), positive stories are emerging showing increased exports or investment in EPA countries (see FTA Implementation Report; EPA brochure). Meanwhile, the EU and its partners are mounting more systematic EPA monitoring and evaluation, seeking to involve non-state actors. Another 20 African countries could start implementing economic partnership with the EU based on two agreements successfully negotiated in 2014: the EPAs in West Africa (16 countries including Côte d’Ivoire and Ghana) and the East African Community (Burundi, Kenya, Rwanda, Tanzania and Uganda). However, these 2 EPAs are stuck at signature stage, because one country (Nigeria) has not signed the West African EPA, while two out of five countries (Kenya and Rwanda) have signed the EPA between the EU and the East African Community. So ratification and implementation of these two EPAs is currently not possible, not only for the non-signatories but for all countries involved. The non-signatory countries consider that signing the EPA is currently not in their national interest, but you can see in both cases how this has consequences for the whole region. In any case the EPAs remain open for accession by ACP countries that are ready to join, and some countries are actively exploring this option. Going forward, what will happen to the EPAs post-2020? The EPAs are international treaties and as such do not depend on the continuation or replacement of the Cotonou Agreement. But post-Cotonou we will still need a framework agreement for the EPAs, just what the Cotonou Agreement is today. This means that the post-Cotonou agreement will continue to lay down the essential elements and fundamental principles underpinning the EPAs. The post-Cotonou agreement would also reassure our ACP partners about the EU’s commitment to support trade and investment relations, especially under EPAs. So it is vital that the EPAs remain flexible tools, open to new countries and issues (known in the jargon as EPA widening and deepening, respectively). A word about Africa. While the negotiations are still on-going, the post-Cotonou agreement should have an all-ACP “foundation” and regional protocols for Africa, the Caribbean and the Pacific. In Africa, the new Alliance has given a strong political impulse for making maximum use of the EPAs, and the free trade areas in North Africa, as building blocks for the African Continental Free Trade Area. And so the continental FTA is providing the backdrop for EPA implementation, and for extending the EPAs to cover more countries and substantive areas in Sub-Saharan Africa, in years to come, in order to take our economic partnership to the next level. The 20th country is Zambia, which negotiated the EPA in Eastern and Southern Africa but has not signed it.